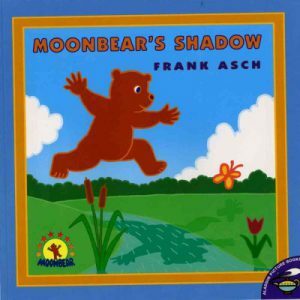 WE read some great stories about shadows during last Saturday’s Preschool Storytime! And let’s face it – it was an entirely appropriate choice for Groundhog’s Day! Here are the books, songs, flannel board, action rhymes and video we shared. 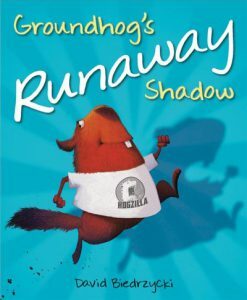 In Groundhog’s Runaway Shadow by David Biedrzycki we meet a groundhog who loves his shadow UNTIL his shadow gets on his nerves! Phil is orderly and on time, his shadow…not so much. Phil likes to eat clover while his shadow has more adventurous taste buds and likes spicy tacos. Eventually they grow so far apart that Phil gets annoyed and tells his shadow to leave! His shadow had always wanted to travel (Phil did not) so he begins exploring the world. Much to Phil’s chagrin his shadow is making headlines everywhere and Phil begins to feel he is missing out (and he is beginning to miss his shadow’s companionship). 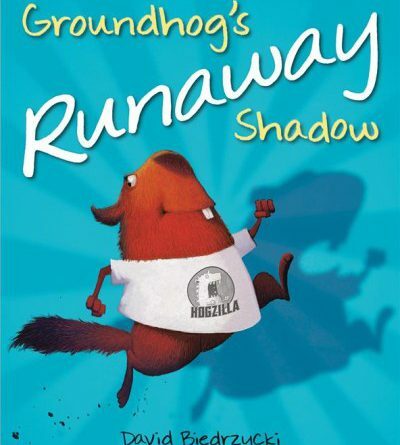 To reunite with his shadow, Phil has to go beyond his comfort zone and fly to parts unknown. 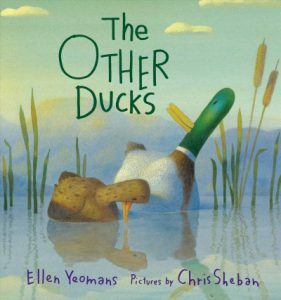 This is a wonderful story about friendship, overcoming fears and learning to appreciate differences. It also makes a good read for Groundhog’s Day! 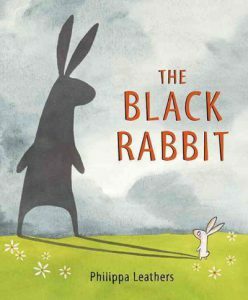 The Black Rabbit by Phillippa Leathers is a book about a rabbit who just can’t seem to lose his shadow! Well actually the rabbit thinks his shadow is a scary black rabbit who is out to get him! When that same shadow manages to scare away a predator, rabbit sees the benefits of having this scary fellow follow him. 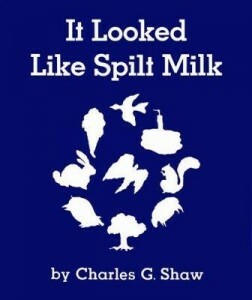 A great read aloud for preschoolers! 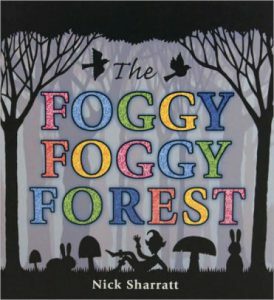 Nick Sharratt’s picture book, The Foggy Foggy Forest takes shadows and silhouettes to the next level. 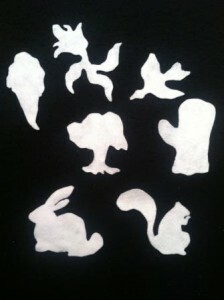 Children love guessing what each shadow/silhouette represents and a turn of the page reveals the surprise! This book is marvelously crafted with exquisite cutouts, gorgeous colors and mythical creatures and characters that delight and enchant. 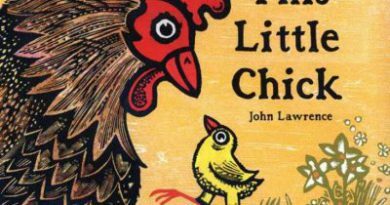 This one is sure to keep your preschooler engaged throughout. 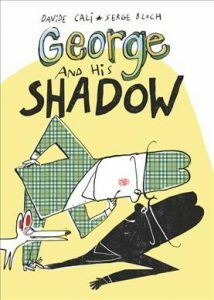 If you’d like to read more books about shadows, check these out from your local Pasadena Public Library! Infant Toddler Storytimes – Thanksgiving!